We’re now up to Naruto Shippuden Box Set 35 in the long running ninja saga. It’s where we see the last of the long stretches of filler, and other than a couple of short diversions, it’s a straight run to the finale of the series. Does that make a difference to the overall flow of the narrative? Click on the review to be disappointed. 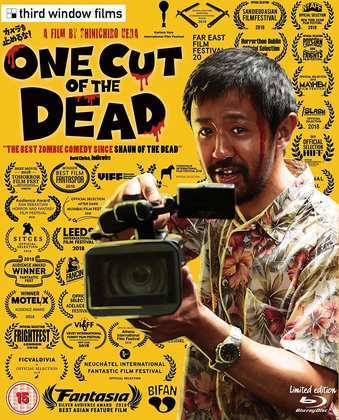 Incidentally, if you haven’t seen One Cut of the Dead yet, what’s stopping you? It’s still on release in certain cinemas, and the Blu-ray and DVD came out today. It’s the most imaginative and original zombie horror comedy that I have ever seen. Mawaru Penguindrum. Kunihiko Ikuhara is the anime equivalent of David Lynch. His shows are usually mind-bending, layered with meaning, and provoke fan debate and discussion. He’s the man behind Revolutionary Girl Utena, and Mawaru Penguindrum is just as esoteric a show. The story is about three siblings. The sister Himari tragically dies, but in the hospital morgue comes back to life wearing a strange penguin hat. She tells her brothers that if they find the elusive Penguindrum, they can save her life, and so begins a bizarre adventure that demands the viewer’s full attention and thought to unravel. Some shows can be a turn-off it they are too much like hard work, while some can actually be attractive as a result. Mawaru Penguindrum is one of the latter. Here’s my review of part 1. In the UK, Manga distributed the show on DVD for Kaze, and the results were predictably bad. What wasn’t predictable was how bad the US Blu-rays from Sentai Filmworks would be. I got these Blu-rays from Siren Visual in Australia who authored the discs anew, still interlaced but more pleasant to watch, despite a few subtitling issues. The US will be your best bet for finding Penguindrum now, as it’s deleted everywhere else. 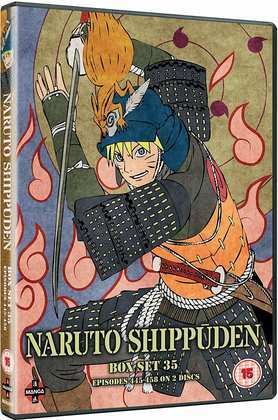 Manga Entertainment will release Naruto Shippuden Box 35 on DVD on February 11th. Third Window Films release One Cut of the Dead on BD and DVD today.